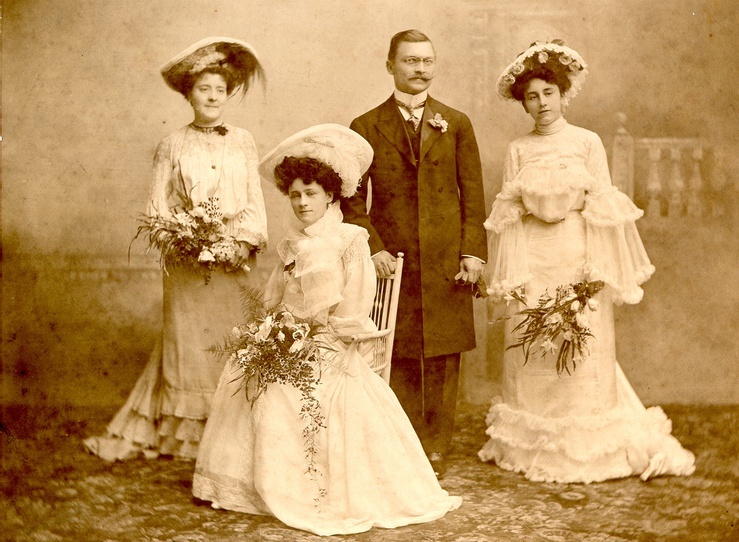 ‘Ali Kemal Bey - an Ottoman minister, journalist and my paternal grandfather – married Winifred Brun, an Anglo-Swiss woman, in Paddington in 1903 aged 34. She died soon after giving birth to my father, Osman Wilfred Ali Kemal, in September 1909 in Bournemouth, England. He and his older sister Celma were brought up in Wimbledon. I do not believe that my father had many recollections of his own father as a young child. Of course, with the outbreak of world war one in 1914, contact would have been difficult since Ali Kemal was living in Turkey at that time. My mother told us how Ali Kemal died in Turkey in 1922 after being detained by Turkish soldiers. After she married my father in 1936, she stayed in touch with Ali Kemal’s second wife Sabiha Hanim, the daughter of Zeki Pasha, who led the Ottoman Vardar Army. I stayed with her in Istanbul when I first went to Turkey aged eighteen in early 1959. My mother made sure I knew how to ask for Sabiha's address in Turkish, when I first arrived off the boat and was fighting my way through the crowds around Galata Bridge! I travelled on to Ankara by bus to stay with Zeki Kuneralp, Ali Kemal and Sahiba's son, my father's half-brother. Zeki was a senior official in the Turkish diplomatic service. It was a very happy time for me; I stayed in Ankara for two or three weeks and got to know the Kuneralp family. Zeki's wife Neçla was tragically assassinated in Madrid in 1978, while he was serving his country as ambassador to Spain. I got to know my cousins Sinan (now a leading publisher in Istanbul) and Selim (who followed his father into the Turkish diplomatic service and has been ambassador to Sweden and South Korea). I have stayed in regular touch with my Turkish family over the years. Zeki served twice as ambassador to the United Kingdom. I learned with great satisfaction that when Queen Elizabeth II was in Ankara on her state visit to Turkey on 13 May, both she and the Duke of Edinburgh had a private meeting with Zeki's son Selim and his wife Gamze, at the suggestion of Abdullah Gül, the president of the Turkish republic. 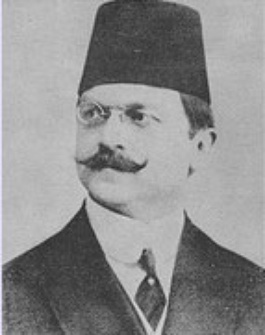 Ali Kemal was a politician and journalist as well as a creative writer (several novels). Both I and my children have tried our hand in these fields. 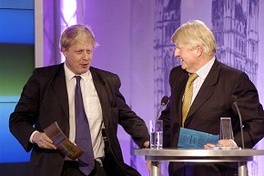 Boris is a politician, and has written several non-fiction books and one novel, as well as many newspaper articles. My older daughter Rachel (whose middle name is Sabiha) is also a novelist and journalist. I have been trying to persuade her to take up politics as well! We need many more women in politics in Britain. With the question of the blonde hair - by all accounts, Ali Kemal had lightish coloured hair and there is definitely a strong blonde gene in the Johnson family. 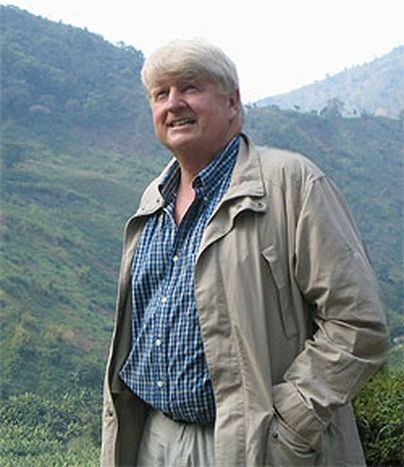 Zeki Kuneralp used to speculate that, deep in the heart of Anatolia, where Ali Kemal's family originated, there may still be groups of blonde-haired Turks. But the far-flung readers of your august newspaper will be far more informed on this topic than I am! On more than one occasion, my eldest son Boris (he has three brothers and two sisters) proudly referred to his Turkish origins during the 2008 mayoral election campaign. He has been to Turkey several times. He said that because of his own 'multicultural' background he would be well-placed to lead the city of London which is a melting-pot, as anyone who has visited it recently will know, for people of many different races and faiths. I am sure this played a part in people's enthusiasm for Boris! I think the enthusiasm of the Turkish press is well-justified! (Headlines in Turkey read London's new boss is Turkish Johnson, Ali Kemal's Grandchild's Victory in London, Turkish Johnson unseated Ken). I served on the official EU-Turkey delegation when I was a member of the European parliament between 1979-84. I regret very much the length of time that it has taken to conclude the arrangements for Turkey's accession to the EU which were outlined in principle as long ago as the sixties. I am gratified to learn that my cousin Selim is now responsible for this important dossier in his current role in the Turkish foreign ministry as deputy secretary for economic affairs. Britain, of course, has long been a strong advocate of Turkey's accession to the EU, so Selim will probably not need to send any urgent text messages to Boris's mobile phone, asking for help!